The fact that Manchester United boss, Alex Ferguson is being brought to book over his comments on Premier League referee, Alan Wiley, will be seen as justice by many in England. Ferguson is facing a touchline ban after his comments about Alan Wiley. 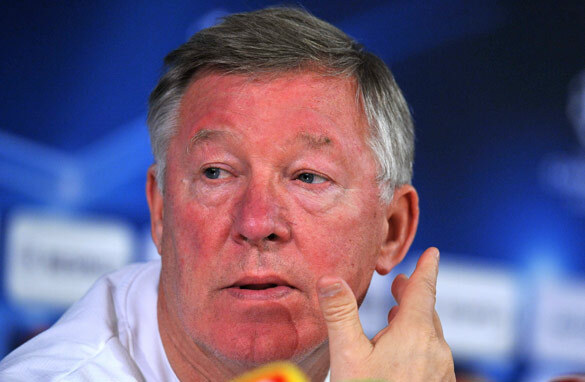 Fergie, for all his great qualities as a coach, is a serial baiter of officials and may be due his come-uppance. However, while I agree that launching a public attack on a referee’s fitness was probably not the way to go, I can’t help but baulk at the notion that referees are untouchable. Look at the facts, players, managers, coaches, chairman, directors, FIFA, UEFA, and every domestic governing body in the game are all subject to public scrutiny and questioning by the media every day of the week. What’s more, the criticism is often personal, sometimes descends into ridicule, and, occasionally smacks of a witch hunt. Yet these people are expected to take it all with a pinch of salt. But criticize a referee, and it’s a whole different ball game. Now don’t get me wrong. I think the match officials have an incredibly tough job, and the “Respect Campaign” introduced last year was a good and necessary thing in order to stop ref’s being bullied by players and managers. But while I think a referee’s authority should not be undermined, I don’t think they should be considered infallible. Almost every game you see contains mistakes, and there should be some legitimate system by which the teams involved can voice their criticism, because even one wrong decision can cost a club dearly in terms of cash and lost trophies. Furthermore, when a referee has a calamitous game or is consistently bad, the public response of the various refereeing bodies often appears to be a shrug of the shoulders. Why? There are referees associations. There are assessors at every match. If questions are being asked about an individual’s performance and if punishments are being meted-out, why can’t we know about them? Accountability and transparency is expected in all other areas of football, so why not in the referees fraternity? After all, as Fergie might argue, - respect should work both ways. Objective and well written – most major sports have now adapted to the pace in their respective sports by adding electronic/video help for the referees – no one is infallible and when so much is at stake a person and the associations must be open enough to facilitate the change needed to keep the game as error free as possible – it is not about the referees or their abilities it is about getting the call right. i agree that we are getting a lot of dubious decisions. no other team suffers as much as the gunners. when our manager protest he is banished and find. sir alex ferguson get away with ranting at the officials. he don't get penalties given against his team @ home, check the book. he never say that the refs made a bad call when it is his favour. he should be banned.